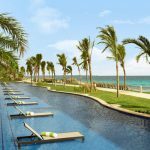 One of the newest luxury hotels to open in Cancun, Nizuc Resort and Spa, located away from the craziness of the hotel zone on its own little secluded peninsula, is accessed via a quick 15-minute taxi ride from the Cancun airport. 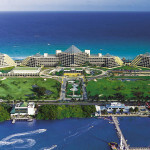 It’s situated on 29 private acres, tucked between mangroves and the white sand beaches along Mexico’s Yucatán Peninsula. 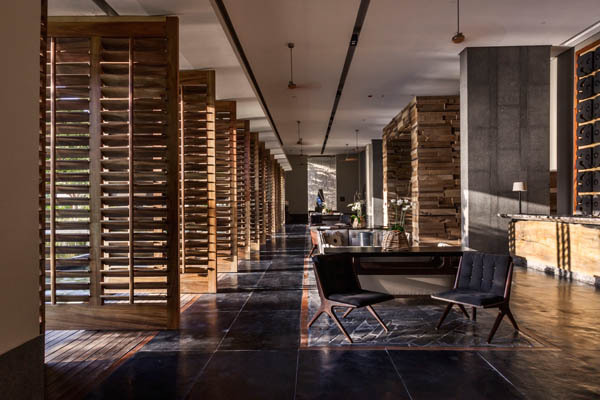 To say NIZUC stands out from the rest of the hotels in Cancun is an understatement. 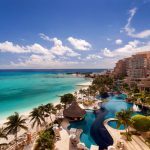 It shines bright as a luxurious and sophisticated refuge, far different from the large hotels and party scene most often associated with Cancun. 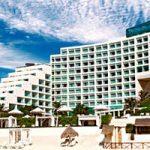 The service is impeccable, from reception to the turndown service, the staff maintains their professionalism along with Mexico’s warm hospitality. The calming decor of muted earth tones and wood finishes blends in seamlessly with the beauty of its natural surroundings. 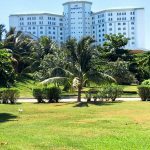 The resort has over 250 suites and villas, nestled within peaceful and pristine landscaped grounds. Most of the rooms enjoy private plunge pools and outdoor living spaces, along with outdoor showers and view of the lush terrain. There are six outstanding restaurants at the resort ranging from sophisticated Asian cuisine served at Indochine, to traditional Peruvian dishes served at Ni. 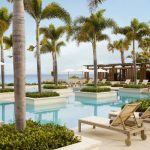 While sitting poolside, at the main infinity pool, enjoy delicious local cuisine including tacos and fresh guacamole, washed down with cold Mexican beers and exotic cocktails. Activities here are endless. 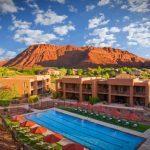 While you’re not paddleboarding, kayaking, or swimming, their fitness center offers a variety of classes for all levels including body conditioning and a Runner’s Club, where you’ll challenge yourself with a series of timed running sprints. An added bonus on property is their Peter Burwash Tennis program. Complimentary to children at certain times of the day and at an additional cost to adults, the tennis clinic is a perfect way to bone up on your serve and backhand while on vacation. In the evening, relax in their cigar lounge where cool jazz beats add to the atmosphere while a cigar roller prepares the perfect smoke. Nizuc offers the perfect blend of relaxation and activities with a large dose of luxury and high-end dining, surrounded by tropical breezes and moonlit nights.